Botox has many medicinal uses beyond cosmetic treatments. Botox has been found in trials to reduce the frequency of headache days. In simple terms Botox helps reduce the tension in muscles in the forehead, temple, back of neck and this leads to a reduction in migraine and tension headaches. Dr Sarah's bespoke treatment consists of 29 injections. These injections are with a very fine needles and relatively painless. Also being a Doctor of Chiropractic medicine gives me real insight into the muscular issues that may be causing the problem and thereby allowing me to provide the best possible treatment. There is no single trigger, but there are well known factors such as diet, particularly food such as red wine, cheese and chocolate, posture, bright sun light, staring at a computer screen, hormonal changes during a woman’s menstrual cycle, and stress, that can lead to an attack. There are trigger zones covered by the Occipital and Trigeminal Nerves and even in diet/hormone related migranes, the trigger zones appear to play a part. Mechanical stimulation of these nerves has been recognised for years in many theories and has lead to nerve blocks and surgery to reduce this, though the results have not been conclusive. The Supra-Orbital branch of the Trigeminal Nerve is unusual because it passes through the Corrugator muscle rather than around it as usually the case so is easily irritated. The Corrugator is the main muscles that makes us frown, so when we do frown it also constricts the nerve. The Corrugator is one of the muscles we want to weaken when we use Botox to get rid of wrinkles. Botox is a potent and effective in paralysing muscles in very localised areas and this partial weakening is enough to stop mild migraines in some people. A theory to explain it’s action is that the paralysis in the Corrugator muscle in the place it surrounds the Supra-Orbital branch results in less irritation of the sympathetic system fibres within the nerve that go back to the brain stem. It is not necessarily that this stimulation is the only cause of the migraine to start, a migraine injection treatment is not always 100% effective. However by reducing one part of the stimulation process you can prevent some of the early waves of excessive nerve cell activity from developing into a full-blown migraine. For some this may be that they have no attacks at all and for others it may be a much appreciated reduction in the severity and frequency of attacks.  Please note that this page informs you of how Botox works and that prior to administration a consultation is required with Sarah to ensure suitability. We will discuss treatment options that will encompass the problems and specific areas of concern that you may have. Botox may not be the most appropriate treatment and this will be discussed at your consultation. Botox works within a few days but can take as long as 14-21 days for the full paralysing effects to show through. Botox injections are not permanent, so we recommend repeat treatments at 3-6 monthly intervals to maintain the effects. The pain associated with injections is mild and no local anaesthetic is required.